Marco Asensio produced a splendid individual display in Elche as Spain ran riot against FIFA World Cup runners-up Croatia. The Real Madrid forward created all four goals after scoring his side's second; the only effort he played no part in was La Roja's opener, a brilliant Saúl Ñíguez header from Dani Carvajal's right-wing cross. Belgium opened their campaign with a resounding win – a 16th from their last 18 competitive matches. The Red Devils were in control from the moment Eden Hazard stroked in a 29th-minute penalty after Romelu Lukaku had been pulled down. The Manchester United forward grabbed the other two. Edin Džeko's low finish 12 minutes from time was enough for Bosnia and Herzegovina to make it two wins from two in the group. Marko Arnautović was captain of Austria for the first time. László Kleinheisler's stunning strike three minutes prior to half-time earned Hungary, who had lost to Finland on Saturday, their opening victory of the campaign. Roland Sallai and Kostas Manolas had exchanged quickfire goals in the opening period. Teemu Pukki's second goal in as many UEFA Nations League outings proved enough for Finland to beat Estonia in Turku. 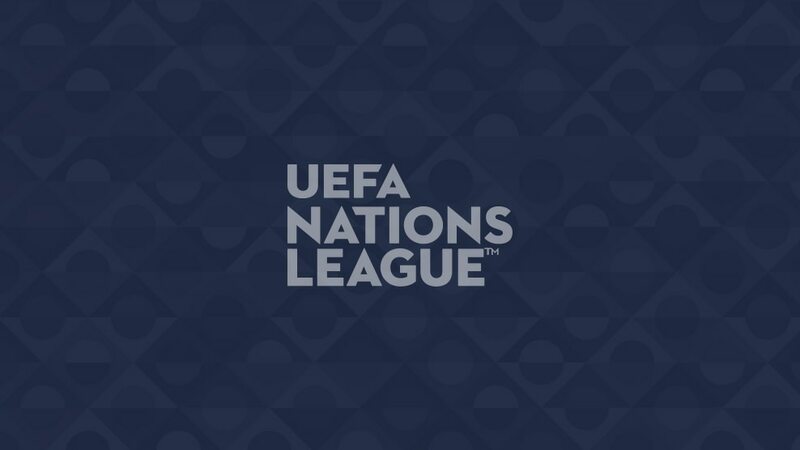 The hosts withstood late Estonian pressure to make it two wins from two and claim top spot in Group 2 of League C.
Luxembourg took their UEFA Nations League tally to seven goals without reply as they won for the second time in four days, following Saturday's 4-0 record home win against Moldova with their biggest ever away margin of victory. Maxime Chanot's controlled early finish forced San Marino to come out and the visitors took advantage in style. Aurélien Joachim swept in the second and Danel Sinani added a thumping third. The visitors had the better of things in Chisinau, although without fashioning enough clear-cut opportunities to trouble Alexei Koşelev in the Moldova goal. When the chance finally arrived midway through the second period, Pavel Nekhaychik failed to take it.